Following his retirement, Ryan K. Lindsay joins forces with Rainbow Dash for some wacky adventures! Panel 1: A slummy crime den. The criminals, up to no good, react with surprise as Ryan K. Lindsay kicks the door in. Rainbow Dash should be visible behind him, if possible. RYAN: Freeze! Ryan K. Lindsay, comic book writer! Panel 2: Ryan has the perps against the wall, and is handcuffing the last one. Rainbow Dash checks a stack of papers on the table. RYAN: You punks make me sick. DASH: My gosh! Ryan, this goes further than we thought. Panel 3: Ryan looks over at Dash. She holds up the papers frantically. 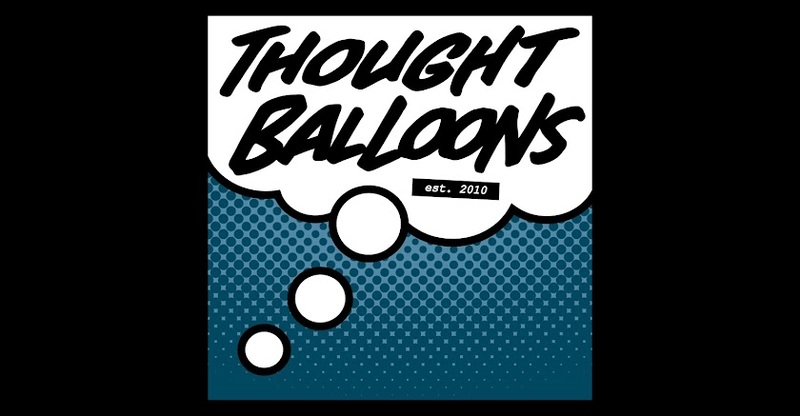 DASH: They were planning on unleashing a virulent strain of writer's block on your old pals over at Thought Balloons, thus nullifying their inescapably awesome talent! Panel 4: Close up on Ryan, grinning and looking right at us. Panel 5: Ryan presses one of the perps up against the wall, hard. Dash's speech bubble should be blocking his last word. Can't see this making into an issue of Friendship is magic, but man I loved this. Dash seems to stick perfectly to her character even in this hard crime genre. You also write a mean damn Ryan Lindsay. Oh and that last panel is gold, using Dash's bubble to cut out Old man's Lindsay's fouls mouth works on just about every level. This needs to be on TV. Great interplay between your two leads. Kudos! Seriously, funny stuff. Great cameo by RKL to boot.